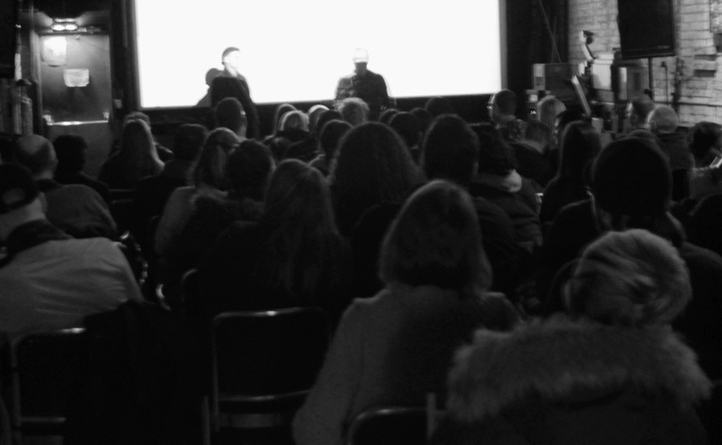 It was a packed house at CineCycle Underground Cinema for the premier screening of "Cold Iron Is A Titanic Comedy", a 72 minute kabuki opera art film by Toronto artist Wesley Rickert shown January 23, 2014. Rickert's first feature length digital film, shot and produced in 2013, radiates Istvan Kantor as the Neoist Pied Piper, Art Szombathy as Louis the IV, Ian Malone as Juan Ponce De Leon and Christina Kozak as the universe expanding Tally Aurora. The film is structured on kabuki opera with elaborate costumes, stylized movements and an orchestra of absurdist poetry that communicates scale, passage, discovery and invention. In the words of director Wesley Rickert this film is a "tin-foil road-trip to Florida & the British Museum, in faster Chinese that dialogues over the electric kettle of Toronto's City Hall and rotates in perpetual stillness towards a tsunami of row-boat performances". 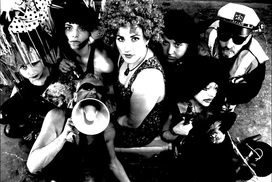 Appearances by other Toronto artists include Henry Benvenuiti as Captain Smith, The Hercinia Arts Collective playing sirens, Sandra Fitzsimmons as Liberty, Tonya Henry as an old flame, Eszter Jagica as the fountain of youth, Kathleen Reichelt as the Ventriloquist, Olivia Roblin as Janus, Brooke Stubbings as the swimming passengers, Kirsten Webb as a groovy disco Gargon, Amber X as the Captain's Hallucination and Ashley Zarowny as Vincent Van Gogh. 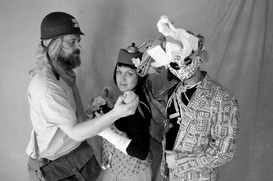 "Cold Iron Is A Titanic Comedy" is an independently financed Art Zoo Studio production distributed internationally by 253469, "an umbrella without the hat". Read the reviews by David Bateman and Kathleen Reichelt here. 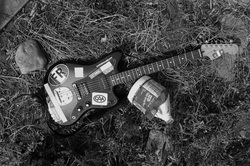 Short films with 253469 artists. Cross country screening tour of "Cold Iron Is A Titanic Comedy" starts June 25, 2014. Details coming!